Cadmium zinc telluride CZT (sometimes written as CdZnTe) is a room temperature semiconductor that directly converts x-ray or gamma photons into electrons and holes. It is a unique semiconductor compared with silicon and germanium detectors, in that cadmium zinc telluride CZT operates at room temperature and can process >100 million photons/second/mm^2. Additionally, CZT’s spectroscopic resolution clearly outperforms any commercially available scintillator. 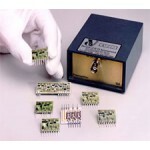 The unique combination of spectroscopy and very high count rate capability at room temperature makes CZT an ideal detector solution for Medical, Industrial, Homeland Security and Laboratory applications. Kromek is one of only four companies in the world that manufactures cadmium zinc telluride CZT (CdZnTe). Our expertise is in using it to make detectors that can help transform imaging and detection solutions in civil nuclear, medical imaging and security. 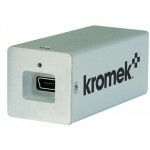 Kromek makes a range of monolithic spectroscopic CZT detectors, ranging from 1 cm x 1 cm x 05. cm. 2.2 cm x 2.2 cm x 05 cm, 2.2 cm x 2.2 cm x 1.5 cm and 4 cm x 4 cm x 1.5 cm. CZT detectors are fabricated with very thin metalized electrode geometries deposited on the detector surfaces. 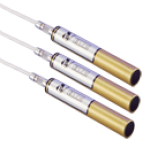 These electrodes are then electrically biased creating a difference in electrical potential within the detector volume. When ionizing radiation interacts with the CZT crystal, a large number of pairs of electrons and holes are created in proportion to the energy of the incoming radiation. Large single crystal boule grown by Kromek’s proprietary process. The negatively charged electrons and positively charged holes then migrate to the oppositely charged electrodes where they are collected. The resulting charge pulse is then detected by the preamplifier, which produces a voltage pulse whose height is proportional to the incident energy of the incoming photon. The signal from the preamplifier is then fed into a shaping amplifier that converts the signal into a Gaussian pulse and amplifies it. 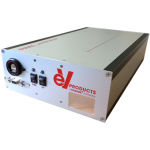 The signal can then be fed into a standard counting system or Multi-Channel Analyzer (MCA) to generate the characteristic spectrum for the incoming photons. We usually couple the cadmium zinc telluride CZT-based detector to an ASIC (application specific integrated circuit) to reduce the size and cost of the readout electronics. CZT is a unique semiconductor compared with silicon and germanium detectors – cadmium zinc telluride CZT operates at room temperature and can process >2million photons / second /mm2. Additionally, CZT’s spectroscopic resolution clearly outperforms any commercially available scintillator. 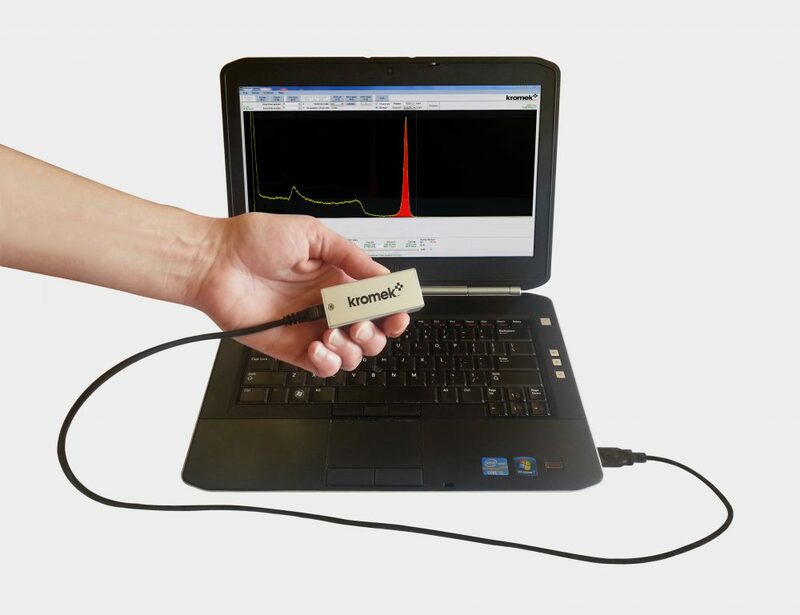 Scintillator-based detectors exhibit poorer energy resolution. 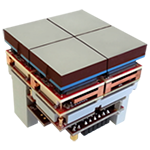 Cooled semiconductors can offer better energy resolution, but the cost to install and maintain coupled with their weight and fragility means they cannot be utilized for most industrial and medical applications. 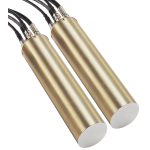 CZT bridges the gap between scintillator-based detectors at one end and high-maintenance germanium detectors at the other, with low installed and lifetime costs plus high energy resolution. 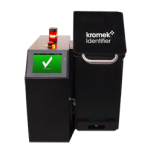 The Kromek GR1 CZT gamma-ray spectrometer is just one example of the versatile radioisotope detectors that Kromek manufacture using CZT as the detection technology. 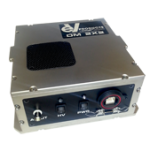 The GR1’s lightweight, small size and low power requirements make it a popular choice for in-field radiation detection, for use as on aerial (UAV) drones and for more adventurous uses. 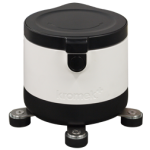 You can see the full range of Kromek CZT-based detectors and scintillator detectors for use in the civil nuclear sector in the Nuclear section of our website. Wikipedia has more information about cadmium zinc telluride. 4D spectral-spatial CZT gamma detectors create a step-change in the performance of diagnostic imaging systems including SPECT (molecular imaging), bone mineral densitometry (BMD, DEXA), surgical probes and colour photon-counting computed tomography (CT). The change is akin to moving from a black-and-white vacuum-tube television to a colour digital high-definition flat screen. Higher resolution means clearer, more detailed images which make the job of diagnosis easier, with higher accuracy and diagnostic confidence at earlier stages of heart disease, cancer, osteoporosis and, increasingly, dementia. 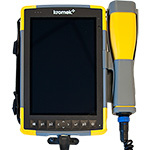 The smaller size and weight of CZT detectors (compared to existing scintillator detectors) has created a market for more economical siting and improved portability of scanning equipment and new operating techniques, for example, lower tracer dose, faster scan times, earlier diagnosis and using multiple tracers in one examination. 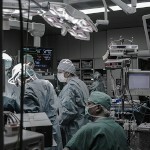 The overall impact is increased patient safety and care, lower overall health care costs and increased efficiency in hospitals. You can see one view of the changes that CZT could bring to breast imaging in this Ted Talk. 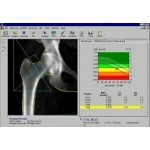 Kromek is working to bring this change in breast imaging. Kromek provides a way for medical device manufacturers to be part of this transformation sooner, integrate CZT gamma cameras into their SPECT systems and bring new products to market cost-effectively. 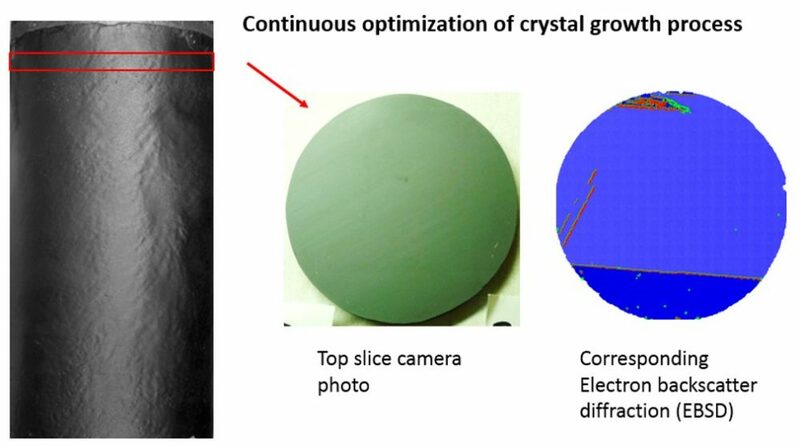 The quality of the CZT crystal and spectroscopic performance is really quite excellent. 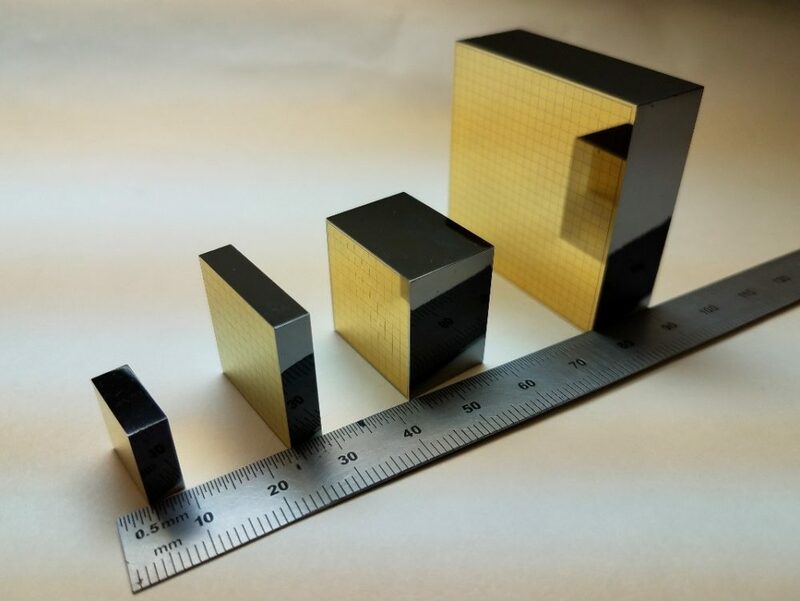 The resolution is the best of room temperature devices, and the peak shape is also much improved upon other CZT crystals. Historically a significant tail was a feature of peaks in a CZT spectrum, which would require careful peak fitting routines. This is not a significant issue with the Kromek GR1 gamma-ray detectors and other CZT based detectors. 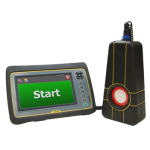 Liquid explosive detector, fast, accurate and non-invasive.